Core aerators have spikes that pick up plugs of soil and deposit them on the surface. This loosens the soil and makes it easier for water and nutrients to reach lawn roots. When done once or twice a year, the result is thicker, healthier turf. Core aerators can be purchased or lawn services will aerate your lawn for you. But for most homeowners the least expensive way to aerate the lawn is to rent a core aerator. Rent a core aerator after a rain or water the lawn thoroughly the day before renting one. Soil should be aerated when moist, not hard and dry. Remove rocks and other debris from lawn before renting an aerator. 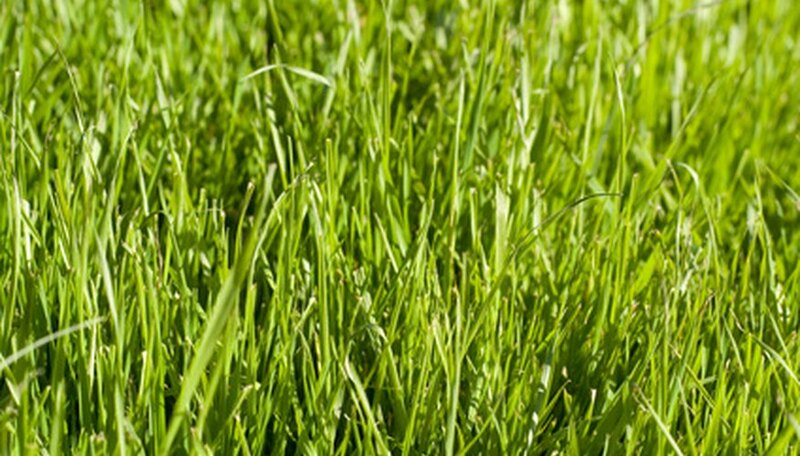 Estimate the size of your lawn. Most aerators rent in half-day increments. Personnel at the rental counter can tell you how long it should take to aerate your lawn. Most urban lawns can be easily aerated in half a day. Secure a truck or trailer to haul the aerator. Core aerators weigh about 250 pounds and won't fit in a car. Also ask a friend or two to help unload the aerator when you get home. Many national home and garden store chains, such as Home Depot and Lowes, rent core aerators as well as many tool rental stores. Prices vary, but expect to pay in the range of $20 per hour, as of 2010. Core aerators are heavy machines that require strength to maneuver. Consider if you are strong enough to operate the machine before renting one.